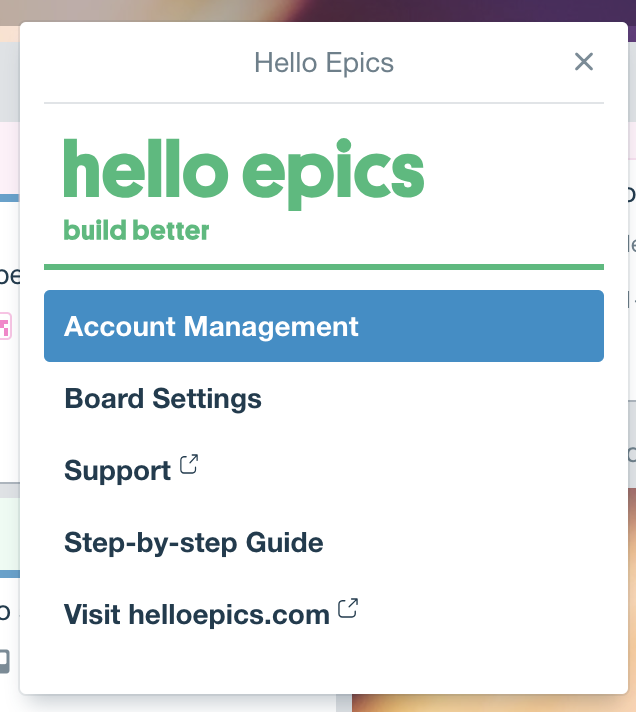 To update your payment information, view invoices or cancel your account, click on the Hello Epics link at the top right of your Trello board. From the resulting menu, click on "Account Management" and then "Billing Preferences". If you do not see the Account Management or Billing Preferences option, you may not be the account owner. Ask your account owner to do this on your behalf. Your current card on record will be under "Payment Methods". 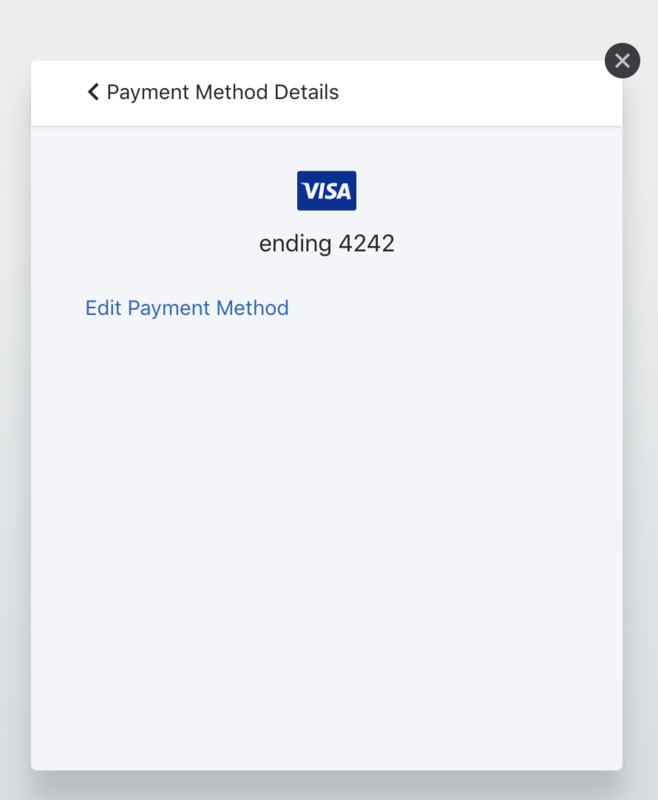 To change that card, click "Edit Payment Method". You may also view past invoices and receipts on this page.